Enclosures form the primary structure of installation and provide the “frame” to support electronic equipment, power, cooling, and cable management. Radiant Info Solutions Pvt. Ltd. organize and secure network, storage, and telecom equipment in data centers, server rooms, and wiring closets with Enclosures. Correctly organized and managed network equipment not only keeps it organized and protected from tampering, and unwanted attacks, but also enables easy maintenance and troubleshooting, updated, and enhance the technical side to the Business. At Radiant Info Solutions Pvt. Ltd. we believe that the best way to design the perfect product is to work closely with our clients. Radiant is a value-added distributor of Netshell in India. We offer one of the most comprehensive ranges of industrial enclosures and accessories for Automation and Control applications, Heating Ventilation and Air-conditioning and Power and Distribution systems. We are the Netshell supplier in India and provide enclosures in all variants to meet most requirements. 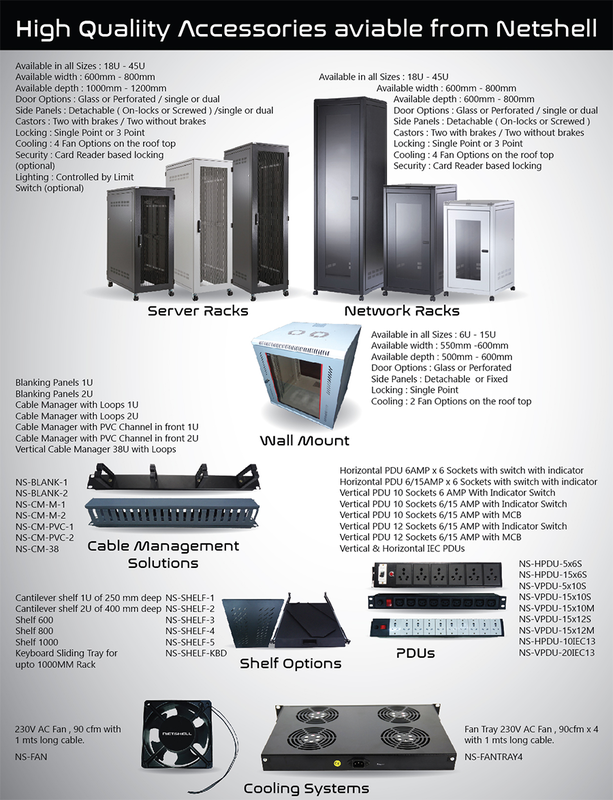 Radiant is one of the fastest growing Racks & Enclosures provider company in India. 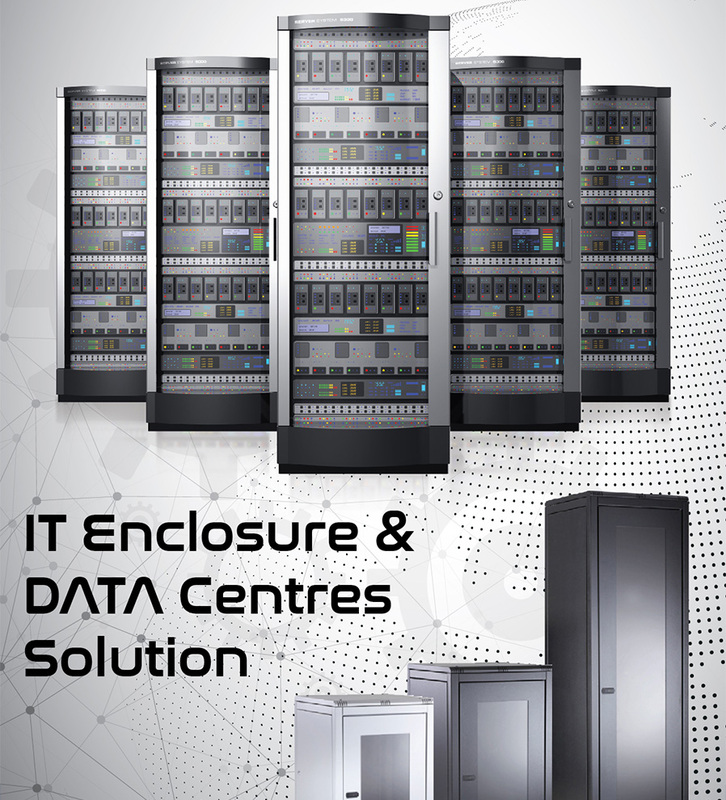 Netshell is the India’s leading enclosures provider, power distribution, IT infrastructure and software & services. Today most European and global networks predominantly run on Netshell solutions, who is an Enclousers provider. Radiant Info Solution Pvt. Ltd. offers 6U , 9U , 12U , 15U , 42U 600×100 , 42U 800×800 and enclosures of Netshell. Data Center: A data center is a centralized repository, either physical or virtual, for the storage, management, and dissemination of data and information organized around a particular body of knowledge or pertaining to a particular business. Rack Server: Server Rack can operate independently but requires the underlying chassis for power, cooling, and the server’s structural and mounting support. Rack server configuration also simplifies cabling among network components. Radiant Info Solutions Pvt. Ltd. provides best quality Rack Server. Wall Rack: For small networks or floor distributors, Wall cabinet of Netshell in India comes in numerous configurations to meet virtually any network equipment need. Radiant Info Solution is proud to offer Wall Rack and it is the place where you can find Wall Cabinet products and facilities. Storage Rack: Storage Rack is Ready to use for network distribution. As little as possible, as much as necessary the Storage Rack for rational, cost-effective cabling. Radiant provides the most competitive pricing for Storage Rack.